The Museum of Design Atlanta (MODA) is a unique, contemporary space well-suited to hosting events such as cocktail parties, corporate or social receptions, and photo shoots. Private events at MODA can be held in our lobby, galleries (restrictions apply) and outdoor plaza space. Hosting private events at MODA is the exclusive privilege of the Corporate Design Partners and Education Partners that support the museum's groundbreaking exhibitions and programming. If you are interested in becoming a Corporate Design Partner or Education Partner, please contact Aimee Chan-Lindquist, Director of Development, at achanlindquist@museumofdesign.org. While event capacity varies based on each exhibition, we can usually accommodate a meeting for up to 20-30 people or a cocktail party for up to 120 people. Parking is available just half a block away at 1337 Peachtree Street and valet parking can be organized on 16th Street, which runs along the side of the museum. The museum is one block from the Arts Center station of the MARTA public transportation system. MODA is located in Atlanta’s lively Midtown Arts District, a neighborhood filled with restaurants, bars, and museums. We’re a quick drive or MARTA ride from downtown Atlanta and from the Buckhead neighborhood and are located just blocks from hip, upscale hotels like the W Midtown, the Loews, the Artmore, and the Four Seasons. During public hours, it may be possible to set up events prior to closing times, but restrictions apply and permissions are required. Events themselves cannot begin before 5 p.m.
MODA collaborates closely with WM Events, a company that plans and designs extraordinary events —from large-scale corporate events, festivals and fundraisers to intimate parties, weddings and family gatherings. 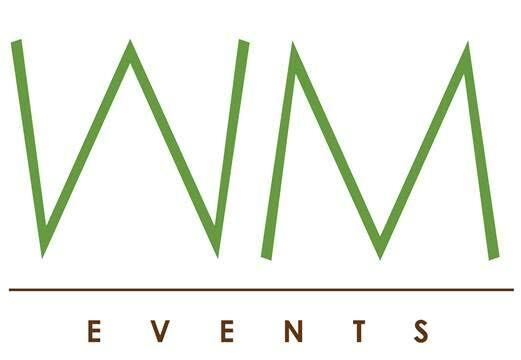 Founded in 2004 by award-winning designer William Fogler, WM Events has earned a reputation for excellence with the likes of Microsoft, Chipotle, Kids II and Kimberly-Clark, to name only a handful of the companies who’ve sought out our services over the years. If you are planning an event at MODA and want it to be particularly memorable, we highly recommend that you reach out to WM Events for help consulting or design assistance.. Thanks for your interest in hosting a special event in the museum! Corporate Design Partners have exclusive access to entertain at MODA. Non-profits looking to entertain at MODA must also become Corporate Design Partners. The moment the first member of your team walks through the door. The moment the last person on your team leaves the building. Please include any other details or questions here and we will be back with you shortly. How did you hear about hosting an event at MODA? Our special events team will get back to you shortly.